Technically, Kendrick Lamar never left Instagram… he just never used it. As his career rolls on, it’s become clearer than ever that he prefers to live his life outside of the public eye. For doing so, he’s garnered the respect of many. He is rarely seen out in public and when he is, his fiancée Whitney Alford is usually by his side. Of course, Kendrick is not yet at Frank Ocean levels of reclusiveness but he’s quickly approaching. At least he actually has legit social media accounts (Tumblr doesn’t count, Frank.) 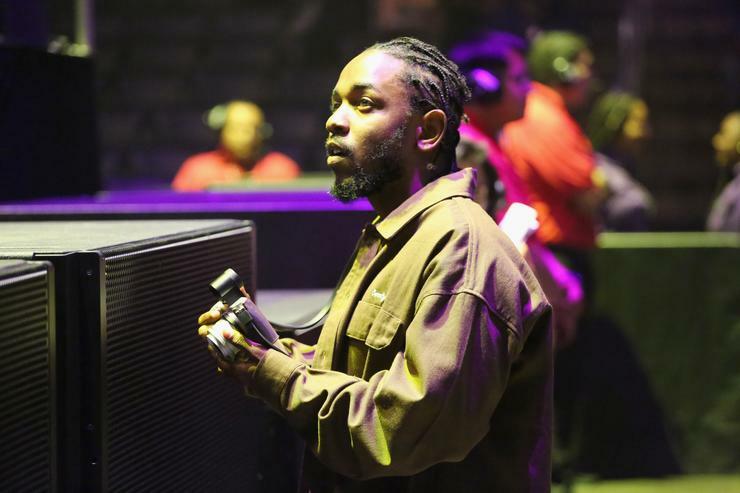 Pulitzer Kenny has been having a historic year and although he was rumored to be dropping an album before the year closes, TDE shut that down quickly. The star returned to Instagram today to share some behind-the-scenes tour footage from both the DAMN. Tour and the Championship Tour. The Compton artist is one of the most prolific artists today and his every move in the music industry is met with extreme enthusiasm. So when his name popped up on our Instagram feeds, we got incredibly hyped. Kenny doesn’t seem to be saying much in the posts, other than the fact that this is another chapter closed in his career. However, with one chapter ending, that means the door opens to the future. Kendrick was met with a leak of some of his older material recently and this post comes strategically days after that. While it may mean nothing in the grand scheme of things, we’re seriously hoping that he drops some new music soon.